WALNUT, Calif., October 3, 2018 – The all-time active player in the MDM market, Hexnode MDM, adds up yet another promising feature to its flock of features- Windows App Management. 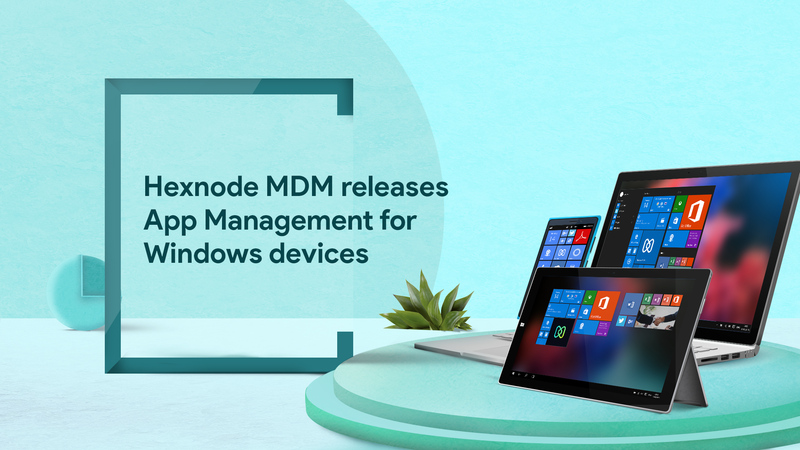 In its latest release, Hexnode MDM announces full support for app installation on Windows devices. This feature is supported on Windows 10 phones, PCs and tablets. Hexnode MDM has already been providing app management support for iOS, Android, macOS, and tvOS devices. The recent release of app management in the Windows operating system has made device management more efficient. With this feature, the admins can distribute apps to their Windows devices via policy or by Install Application action. Using any of these methods, the app gets installed on the device silently, without the user manually initiating installation on the device. This, in turn, saves time and energy. “App Management is a highly preferable feature that allows the secure management of apps on the user’s device. It enables over the air deployment of work-specific apps and makes sure that the device contains all the essential apps”, said Kamal S, Software Analyst at Mitsogo Inc. Currently, Hexnode MDM supports app distribution on iOS, Android, Windows, macOS, and tvOS devices. With every release, Hexnode MDM makes sure to bring in promising features for its customers. About Company: Mitsogo Inc. is a trusted provider of Enterprise Mobility Solution under the brand Hexnode. The MDM offers application management, security management, email management, kiosk management etc. along with device management. Hexnode MDM has found its way to all kinds of business sectors such as education, healthcare, transportation and even in high-security government fields all over the world. The clutter-less UI and simplified workflow are what makes the solution more efficient and preferable.